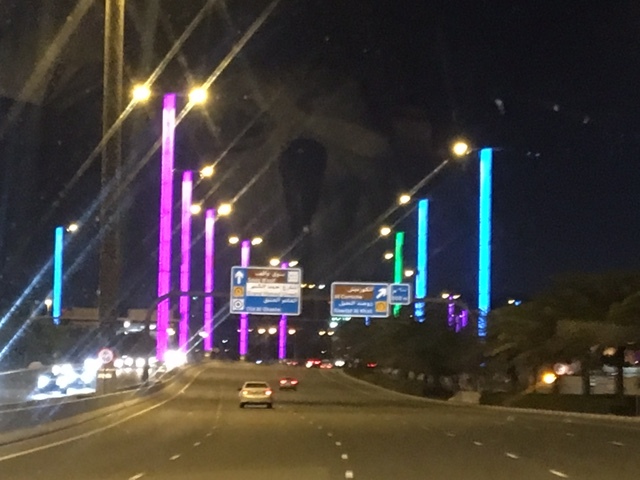 March 3, 2018 – Greetings from Doha, Qatar…. 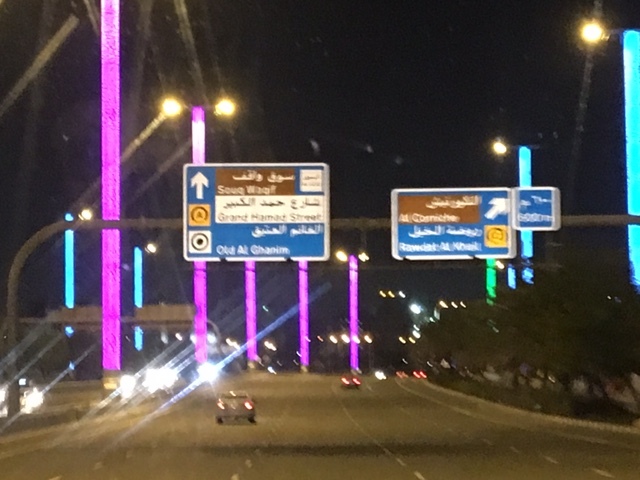 Six hours late and just a slight bit worse for the wear, I am finally in Doha, Qatar. Best laid schemes o’ mice an’ men….I had planned to spend the evening here following a comfortable trip and afternoon arrival, but such was not to be. At least I made it this far and considering the foul weather we had in Philly yesterday, it was something just less than a miracle that we actually took off at all. Our flight, scheduled for 8:15pm and having been delayed on several occasions, finally took off at around 1:30am after a full deicing on the tarmac that took some additional time. Most fellow passengers had much tighter connections than I did, having to rebook their connecting flights and missing a full day of travel. I really can’t complain at all and I am not. I am very happy to be here and I’ll have plenty of other opportunities to explore in Doha on upcoming trips. With many travelers finding alternative arrangements out of Philadelphia on the following day, our flight was probably a bit less full than expected, and as such, I ended up with a full row to myself. I had planned to do some busy work on the flight and the combination of two empty seats next me along with the roomy economy class of Qatar Airways (the equivalent of economy plus on most other airlines) provided me with the perfect work space to spread all of my paperwork out. Of course, I did have to partake in at least some of the on flight entertainment (given the 12 hour flight time) and managed to watch two movies – Three Billboards Outside Ebbing, Missouri and Atomic Blonde. The former movie was wonderful with the only caveat being that to watch it on an all-Muslim airline where every line spoken in the movie contained a curse word that was spoken over with something similar was a bit annoying. Atomic Blonde was a so-so spy thriller with Charlize Theron and occupied some meal time. I had mentioned in my last post that Qatar Airways has a program to put up passengers at hotels in Doha if they have long layovers here. You don’t even need to have a visa to leave the airport if you are from the US and the trip through immigration was quite a snap. I had originally tried to book a hotel in the city center near the market place with plans to explore and since that wasn’t going to happen, it really didn’t matter where I ended up tonight. Most of the hotels have complimentary shuttles and once I left immigration after having received my hotel voucher from Qatar, I just looked for someone holding a sign for the Century Hotel. I waited a few minutes for the shuttle, and then loaded onto a small bus with about twenty other weary travelers and we were off to the city to find our hotel. It was a short drive of about twenty minutes with the tall buildings of the city center off in the distance, sparkling in the clear night air like jewels in the desert. I would have loved to see this in the daylight, but alas that will have to wait for another visit. 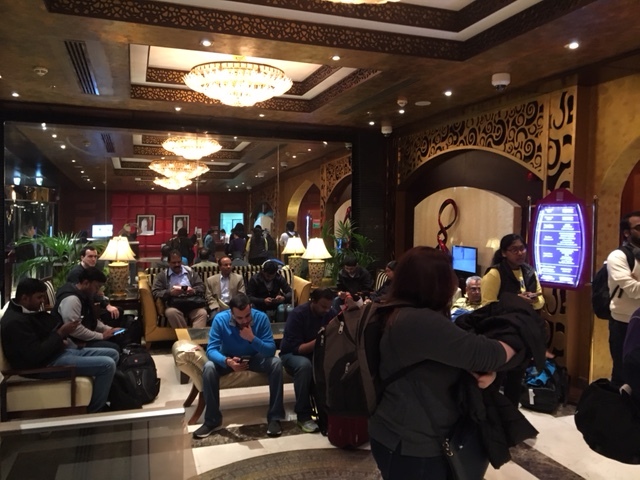 The hotel lobby was quite small with three employees who readied themselves for the arrival of our busload of visitors and were incredibly efficient in getting everyone a room along with having to organize everyone’s departure back to the airport. Most of my fellow travelers ended up having to spend the day here tomorrow and were taking evening flights to India and the Far East, and thought would have been a enticing proposition, I was quite happy that my flight in the morning will get me down to Kilimanjaro at my expected arrival on Sunday so I would have two nights to spend with the Temba family. So tomorrow, it will be off on the final leg to Kilimanjaro and Tanzania with my residents arriving on Tuesday. Friday, March 2, 2018 – Old Man Winter…..